The $134 billion per year that American companies spend on employee development could be a total waste if companies also do not provide opportunities for employees to climb the ladder, according to a new study from the University of Iowa. The study found that without clear career advancement opportunities, workers are not interested in staying with an employer; therefore, the existence of training programs could actually increase turnover as well as costs. 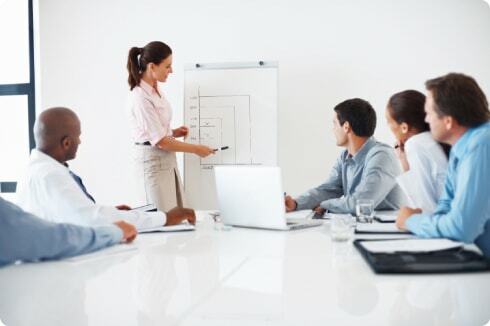 “Most of the training research suggests that investing in employee training and development should help retain employees,” Maria Kraimer, associate professor and co-author of the study, told BusinessNewsDaily. “But we found that providing developmental support, such as training opportunities and career mentoring, to employees who do not believe there are attractive career opportunities for them within the company, led to such employees leaving the organization.” She said companies must have regular career planning discussions with workers in order to help them create goals and find ways of meeting them within the organization. It is important to make employees aware of the positions available to them and possibly use job rotations to give them an idea of what might be best suited to them, which Kraimer said gives employees the perception of greater career opportunities. Employee development and training must be aligned with succession planning and promotion initiatives.